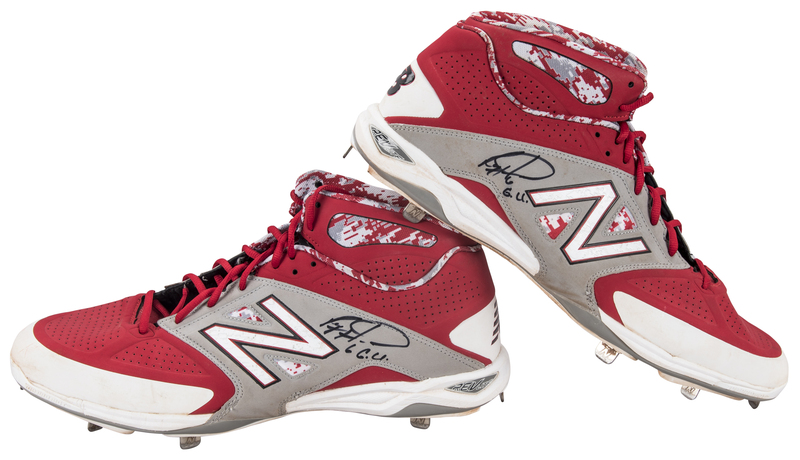 Offered here are a pair of cleats and a pair of batting gloves used and signed by Philadelphia Phillies slugger Ryan Howard. 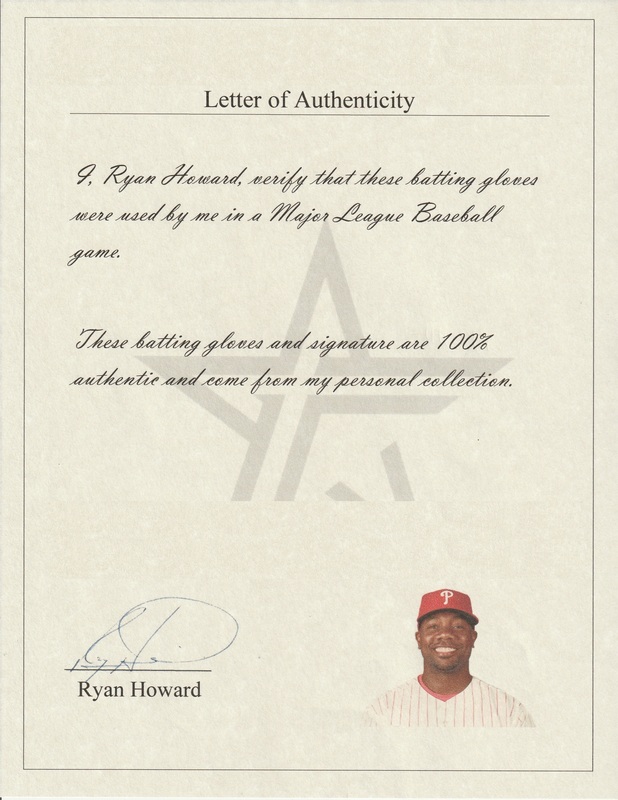 Howard, the 2006 National League MVP, was one of the premier power hitters in baseball during his prime, averaging 44 homers and 133 RBI per season from 2006 through 2011. 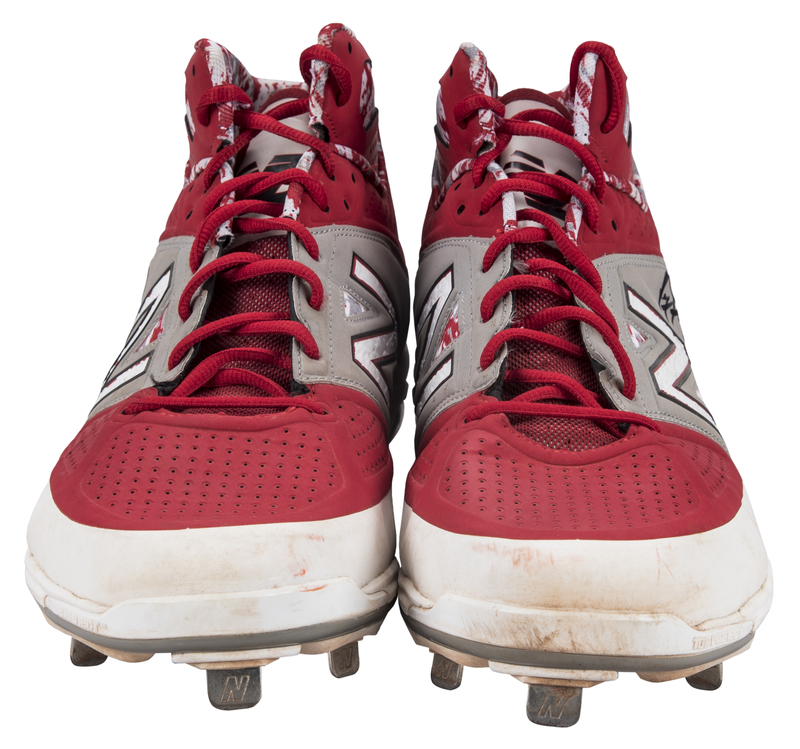 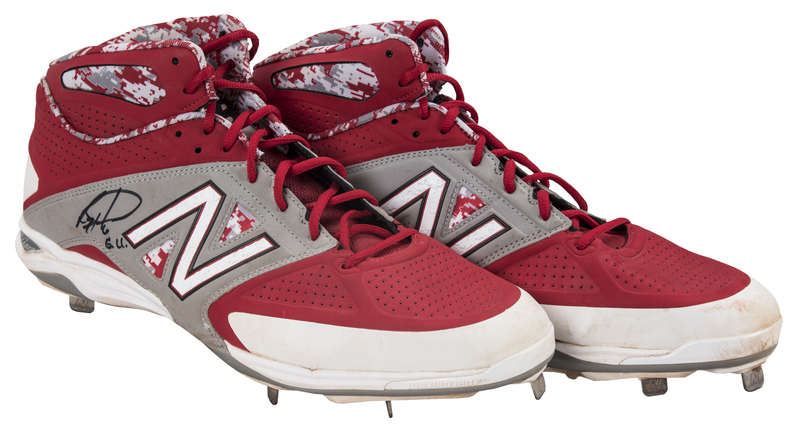 The offered cleats are primarily red, with white and blue accents and a white New Balance logo applied to each side. 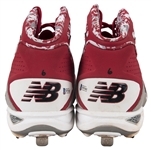 New Balance logos are also located on the heels and tongue. 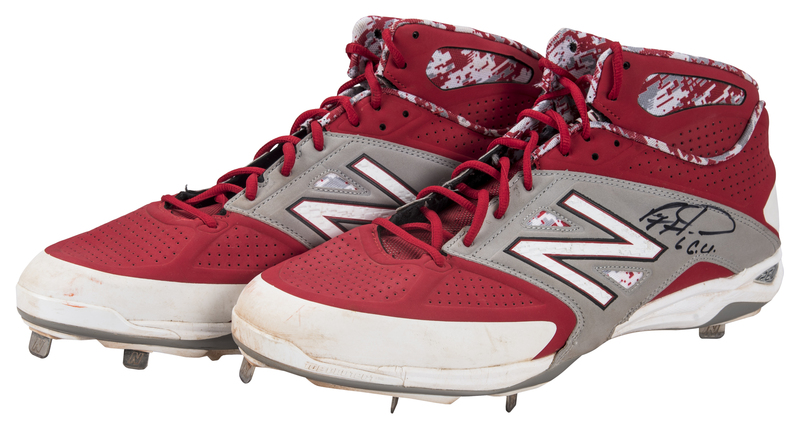 These cleats are accented with a digital camouflage pattern. 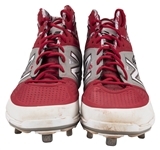 Eight metal spikes are located on the sole of both of these size 16 cleats. 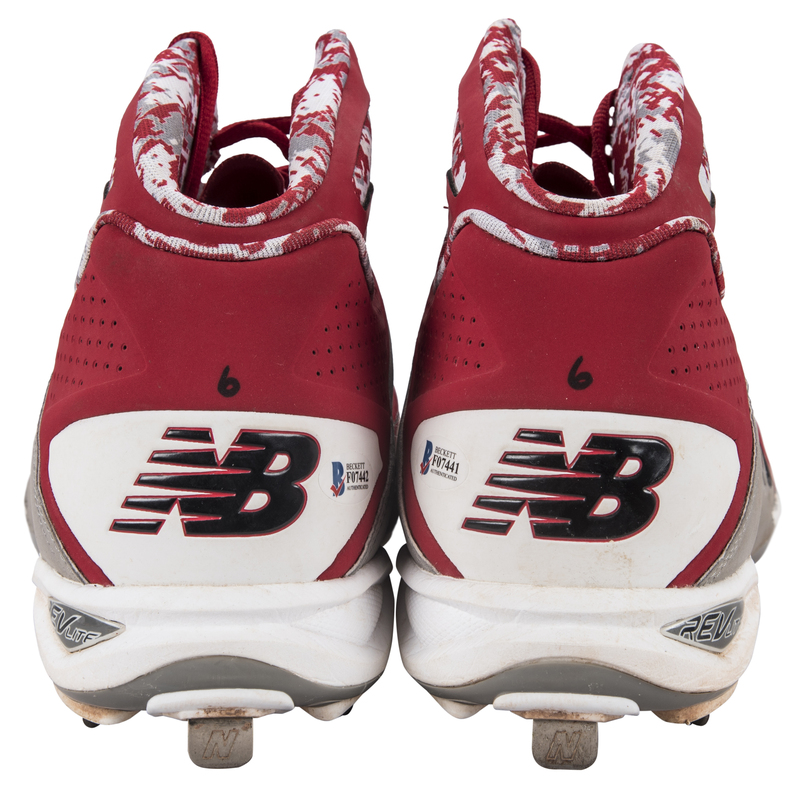 Howard’s number “6” is written in black marker on each heel. 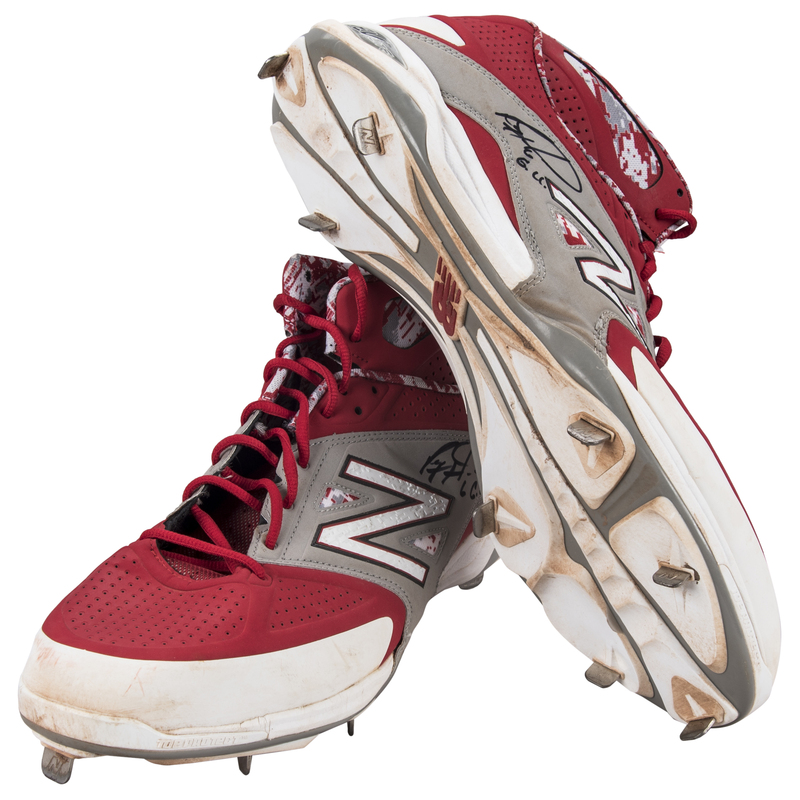 The 2005 National League Rookie of the Year has signed both cleats in black marker, inscribing his number “6” and “G.U.” in addition to each signature. 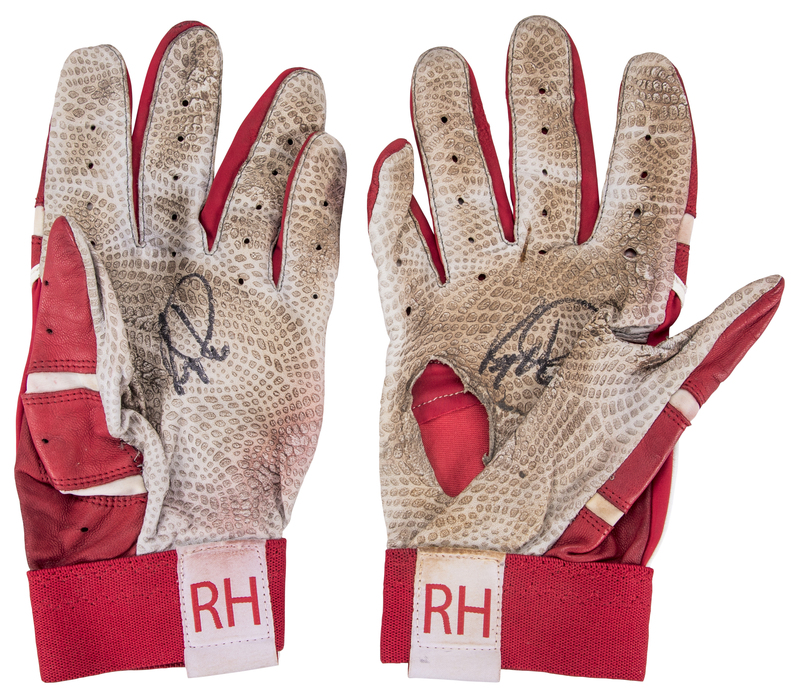 Also included in this lot are Howard’s red and white Under Armour batting gloves. 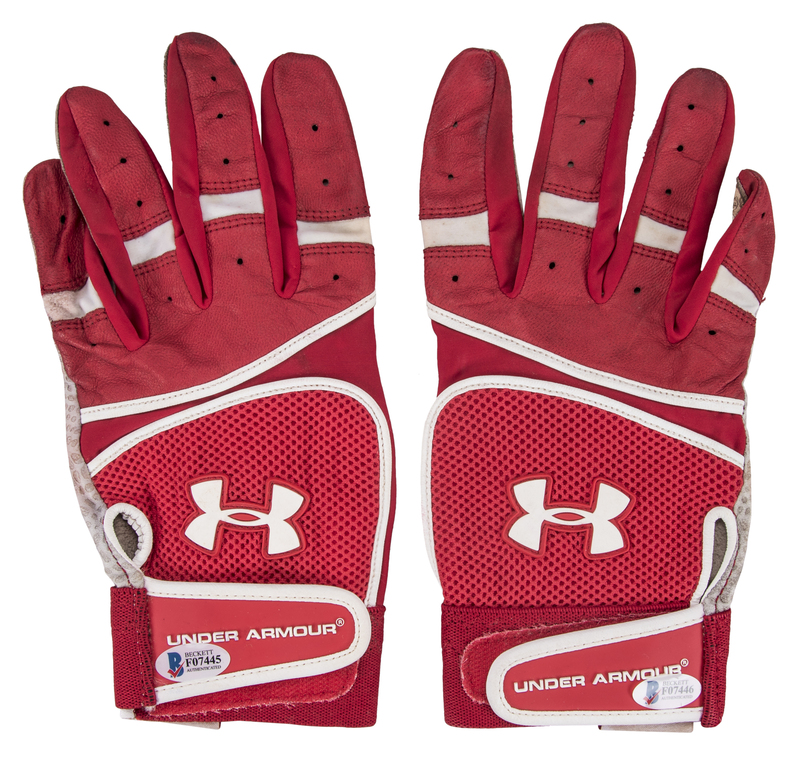 A white and red Under Armour logo is applied to the top of each hand, and “UNDER ARMOUR” is applied in raised white letters to each wrist strap. 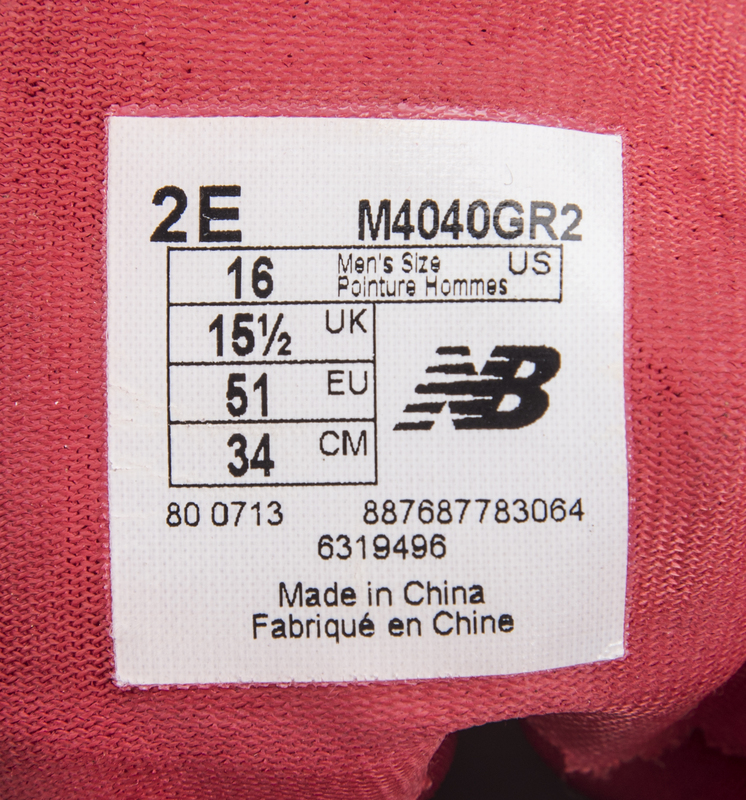 An “RH” strap is sewn below both wrist straps. 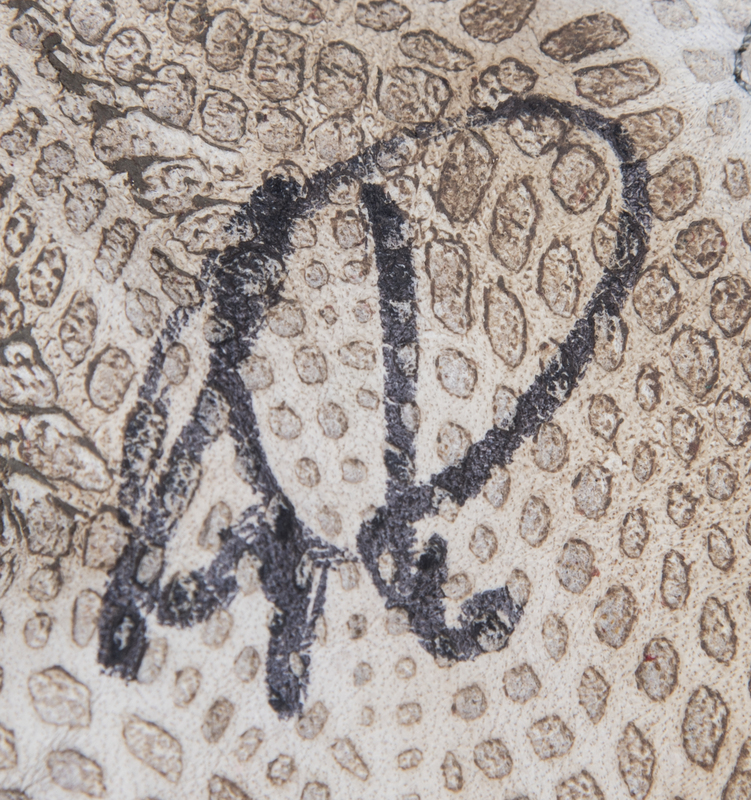 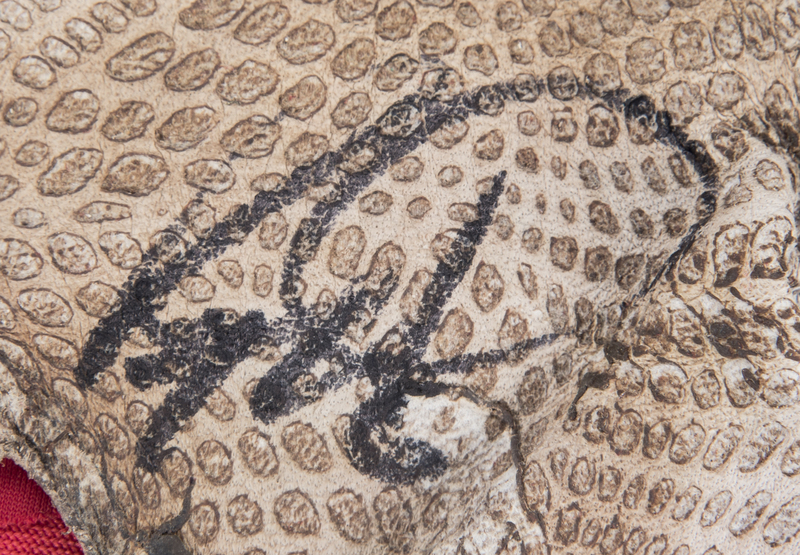 Howard has signed the palm of both gloves in black marker. 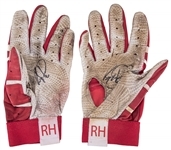 Please note the right glove features a rip on the ulnar side of the palm. 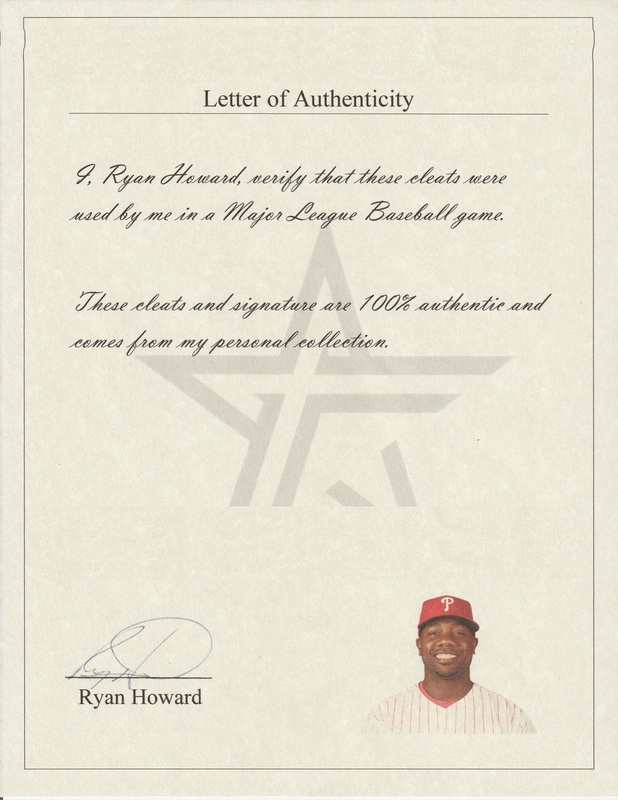 Each item in this lot comes with a COA from Beckett Authentication Services (F07441, F07442, F07445, F07446) and each pair of items comes with a LOA from Ryan Howard.